Back to college season is coming around, which means that we only have few more weeks of summer left but to be honest with you, I am totally ready for fall already. 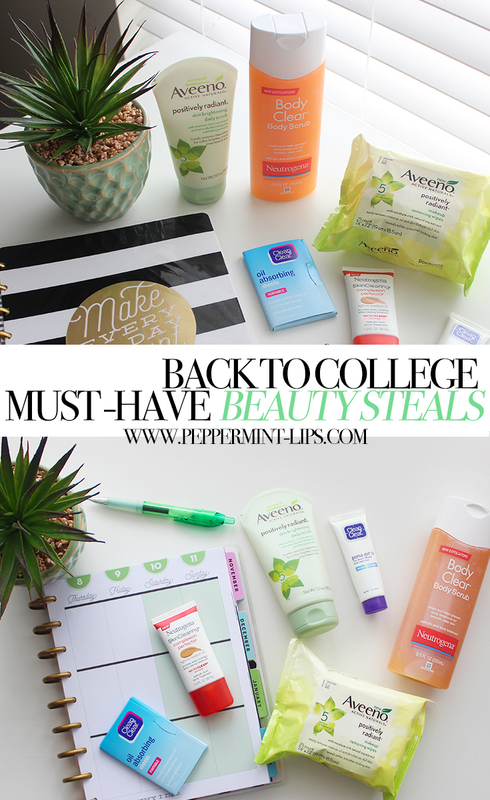 Going back to college after summer always means looking forward to some new exciting things but it also means a lot of hard work ahead and less time for beauty pampering. 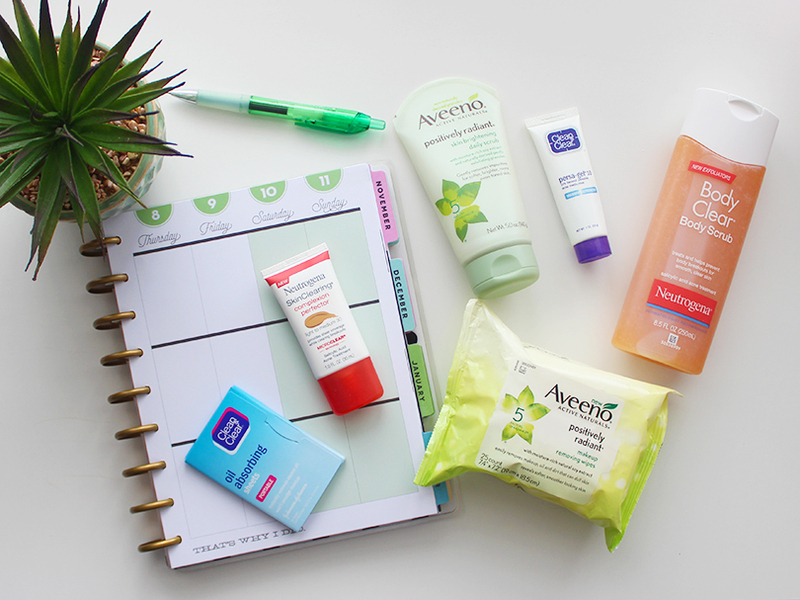 My favorite beauty products that work great regardless of how crazy busy and hectic your schedule will be are super affordable and you can find them at your local Target (make sure you check out the 25% off Target deal at the bottom of the post). Aveeno Positively Radiant Skin Brightening Scrub - this soap-free and oil-free face everyday face scrub works great also on sensitive skin. It is formulated with moisture-rich soy extract with smooth, round microbeads that gently exfoliate skin. I usually use it in the morning by squeezing just a bit of product on my hands and gently massaging it all over my freshly dampen face for few seconds and then just rinse off. I love how refreshed and smooth my skin feels after I use it and the subtle scent is awesome. Neutrogena Skin Clearing Complexion Perfector - this products provides sheer coverage and at the same time treats acne. Whenever I use it, I skip my moisturizer and the Complexion Perfector nicely evens out my skin tone and minimizes appearance of pores. It is definitely a great product to have if you happen to end up studying all night and have only few minutes to get ready in the morning. CLEAN&CLEAR Oil Absorbing Sheets - I seriously can't live without these! So handy and they make any oiliness disappear without messing up your makeup. I always have them in my bag and I strongly advise you do too! Neutrogena Body Clear Body Scrub - this is an absolute body care/shower must have. This body scrub contains a maximum-strength acne-fighting ingredient and I like to use it at least few times a week if not every single day. It lathers well and doesn't clog pores. Whenever I am suffering from any back or any type of body acne this scrub takes care of it almost overnight. 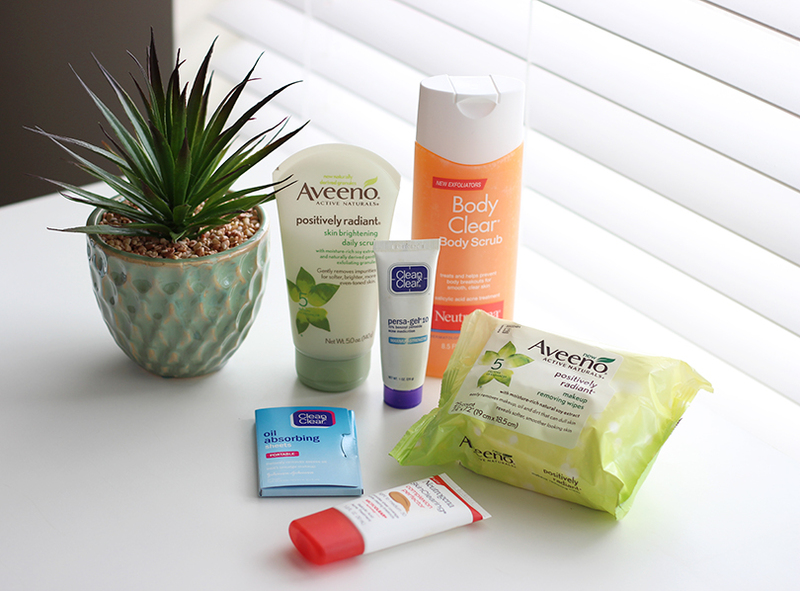 Aveeno Positively Radiant Cleansing Wipes - I love how gentle these cleansing wipes are and I usually will reach out for one every evening to help me remove my makeup or just simply refresh my face after a gym. These cleansing wipes also get rid of stubborn waterproof mascara which is just another reason why they are my staple face cleansing wipes. CLEAN&CLEAR Persa-Gel 10 Maximum Strength - whenever I have any breakouts on my face or body this gel is my go to product. I apply just a bit of it on top of any breakout before going to sleep and the next morning it is either gone or very close to, which is no surprise because it contains maximum strength benzoyl peroxide. 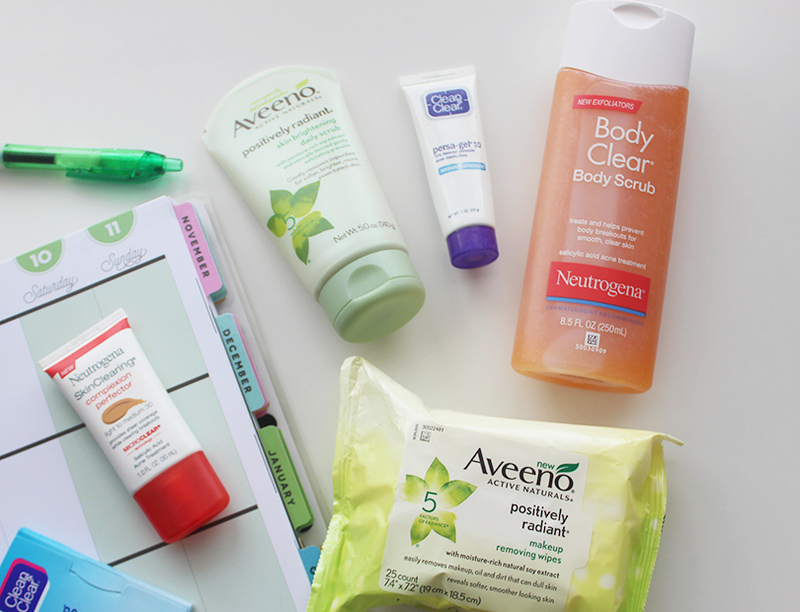 You can find all mentioned products at your local Target in the Complexion Care Aisle. Neutrogena Skin Clearing Complexion Perfector can be found in the makeup section. Target GiftCard Sweepstakes! Enter below for a chance to win $50 Target GifCard! Good luck!